I guess there is something at the back of ETOC which make her in trouble. 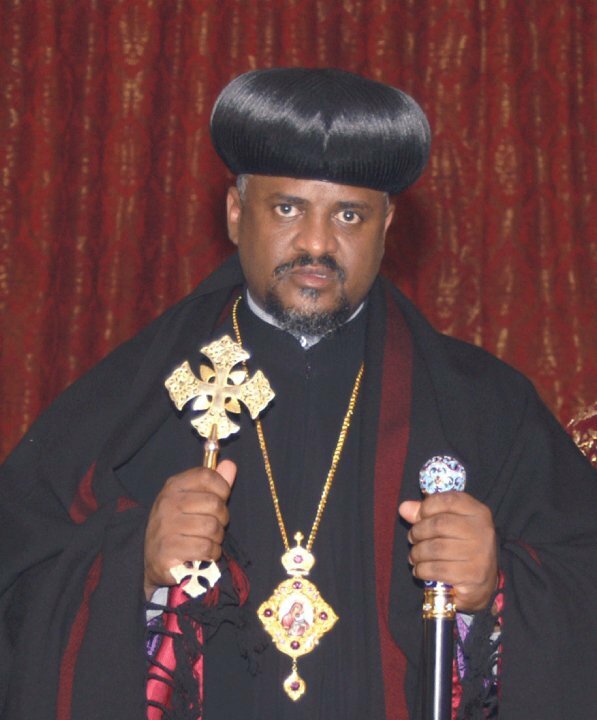 Dejeselam, it better to investigate the root cause of Ethiopian orthodox church from holy synod to deacon. do you imagine some similar problems all over the churches? I hope, there are hidden organized mafia group who fighting to change the church towards tehadiso/ revolution/ thinking. it is very sad. I guess there is something at the back of ETOC which make her in trouble. 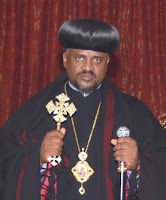 Dejeselam, it better to investigate the root causes of Ethiopian orthodox church from holy synod to deacon. Do you imagine some similarity between problems all over the churches? I hope, there are hidden organized mafia group who fighting to change the church towards tehadiso thinking. it is very sad. የተባለዉ ጉዳይ ሁሉ የሚገርም እና የሚያሳዝን ቢሆንም በጣም ያስደነገጠኝ ግን የሊቀጳጳሱ ቪላ ነዉ እዉነት ከሆነ ሊቀጳጳሳችን በእዉነት ለስጋዉ እንደሞተ ሞኖክሴ ሊመሩ ኣገልግሎት ሊሰጡ ይችላሉ ብሎ ማሰብ የዋህነት ይመስለኛል! ለካስ በቅርቡ የተሾሙ ጳጳሳትን ሹመት ለማፅደቅ ያንገራገሩ ኣባቶች እዉነት ኣላቸዉ በየሃገረስብከቱ ያሉትም ቪላ እንዳላቸዉ ይወራል ያዲስ ኣበባዉን ኣላቅም ወሬ ወሬ ሆኖ የማይቀርበት ጊዜ ላይ ነን እና እዉነትነት ሳይኖረዉ ኣይቀርም ከሚሰጡት ኣገልግሎት ኣንፃር ሲታይ ስጋዊ ኣመለካከቶች ያመዝናሉ እና። አንድ እዉነት ግን ኣለ ህዝቡ ቀድሞናል የተባለዉ ከእዉነትም በላይ እዉነት ነዉ። እየቀደመ ነዉ እና ከህዝብ የሚሰወር ስለሌለ ኣስመሳይ ኣገልጋዮች ጥጋችሁን ያዙልን ወደ ኣምሳያችሁ ጎራ በጊዜ ተቀላቀሉ ቤተክርስትያን ይብቃት እፎይ ትበልበት። ጳጳሳት ሲሾሙስ መታሰብ ያለበት ትልቅ ጉደይ አይኖርም ትላላችሁ? Papas kegbes enameta yehone? Mafeyawe eske mehe bendihe yektelal Memen edkedmachew kawkume true new Egzehabeher edmiake gen yemawku ayemeslgme DEJESELAMEN YANURATE. papas kegbes enameta meslege yegermal hesbe endkdmahews awku EGEZABEHER edmiawke gen yawku yehone ande ken yawkalu.DEJESELAME SELAME BATNRE NORO DEKUREN NEBER. You reported a good news. But I have a doubt about it. Because, even after the meeting with the regional officials, Yared was on the "Awude Mihiret" with the mic. 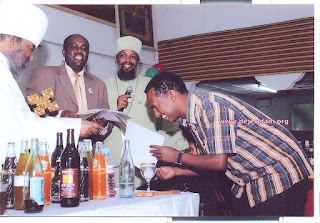 Are you really sure that Abune Fanuel wrote such a letter banning Yared Ademe. I am from Awassa, and I havent heard about it until now. Folks you see, church needs support from the Government. That was what Dn Daniel Kibret recently proposed in one of his articles. Bewinu le Egziabher min yisanewal! I always appreciate your credible report regarding our church. But this time, I couldnt believe it that such a decisive action was taken so soon. There were many believers in Hawassa who were crying day and night for God to send us His solution to the church in the city. If your report is indeed true, it means that the prayers of the people are getting answers. God bless you and our church Tewahido as well as our country. is this story true? i can't believe it. let God cleans His House. But, if this guy is wise this is the time to say sorry to God. Remeember Our Father (God) never want to loose a single sheep.we should think like that as Christians. revenge is for God, not belong to us. may God give the heart to regret? This guy doesn't have the grace of a bishop. In other Orthodox Churches one has to work for years as evangelist to be chosen as a bishop and more work to be elevated as Arch bishop. Why does the church has to pay him huge amont of money/salary when we have multitudes of poor Ethiopians who beg for survival. I hear he has lots of $$ and a villa of a millionaire. yihin papa kebetachin maswetat yitebekal. yersu tehadison maramed aydenkegnim. yemidenkegn meskelachinin, kemisachinin, mekomyachinin meyazu new. sewuyew binakebrewum waga yelewum rasu endanakebrew adrigonal. asfelagi kehonem higawi ermija mewsed tegebi new. siltanuna akimu yalachew sewoch tagisewut mehonun bireda melkam neber. yezarew abune fanuel tew atiwared! ebakachehu andande yemetagegnutin mereja tikekilegnanet aregagetu. Sele Yared ademe metaged min yahile ergetegna nachehu? lemisale betelantenaw elet be Kidus Gebreal awdemiheret lay astemerual(Sep. 16, 2010) silezehe besew zend teamaninetin endatatu tetenkeku. It would be nice if you either assure us the reliability of this report or correct it again. Because, we in Awassa, dont see it. Maybe your source of information about this report was not correct. What we know is that the regional government officials have strong stand against Yared Ademe, and warned him to stop inflamatory words on the "Awude Mihirt". After that meeting, the "Sebeka Gubaye" had discussion with the head of the Church (newly appointed), and agreed that only the fathers like Meliake Mihiret, Memihre Muluken ... take all the programs on the Awudemihiret and Sunday school programs. Then they informed their decision to Ab Fanuel. But the Abune rejected it, and that is why Yared is still standing on the Awudemihiret. So, please try to dig the real situation at Awassa. All the reports I have read on your blog so far were found CORRECT! But this time I dont think so. These people are gangsters. They have never thought in spritual mind. They are agianst the orders of the church. I found some having all (the milk, meat products) during Hudade Tsom. Had they been religios they would have left the issue to the will of God. These people are for their flesh not for their soul. ራሳቸው ሳይታመኑ ስለመታመን ለሚያስተምሩ በሙሉ! !